Let's hear about some of the biggest and nicest news stories that are going on in the world this week Liv. Yes Nia, let's have some Good News, in fact, let's have some Great News. Bring it on. 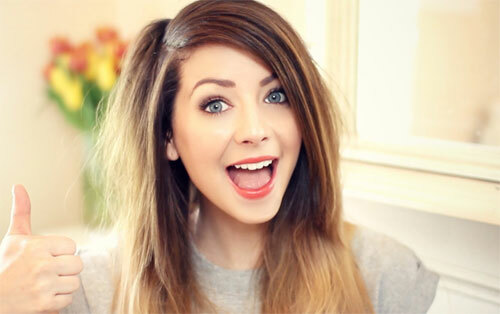 Has Zoella been having help writing her blog? There are rumours that she's been using a ghostwriter to help her with her blogging. We don't believe this for a minutes and think that it is such a shame there is always a witch-hunt to bring Zoella down. She clearly works very hard, because this is her job and her career. Mary Berry has turned down the chance to be in the BBC's Strictly Come Dancing, because Mez Bez says she has got two left feet. At least she can make a nice sponge cake though. Phillip Schoefield and Holly Willoughby went to Ant's house (off of Ant and Dec) after the NTA television awards the other night and played a game of pie face. We love playing Pie Face, check out the videos of us playing it and getting very, very messy. They told viewers of This Morning that instead of using spray cream like most people do, they'd played Pie Face with mint sauce and mustard. Leonardo DiCaprio Hooking Up with Rihanna? Leonardo DiCaprio has allegedly been spotted snogging Rihanna, but he managed to stop the photos getting into the newspapers. 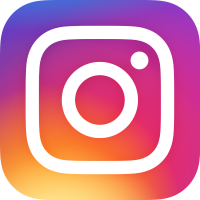 He managed to use French privacy laws to prevent publication of the photos, but he couldn't stop the story getting out into the public domain. Internet celebrity and vine prankster Cameron Dallas caused chaos this week when he came to the Men's Fashion Week in Milan. But it turns out that a lot of people don't even have a clue who he is. 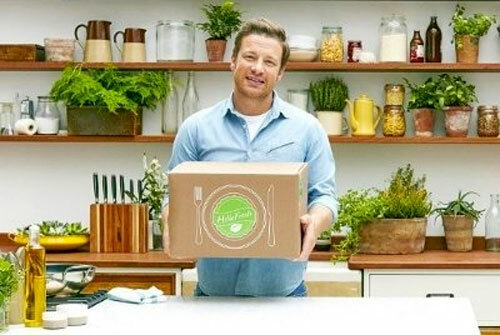 Chef and successful businessman Jamie Oliver has just announced his new money-making scheme. He's calling it 'HelloFresh' and it consists of people ordering boxes of food so that they can make his recipes at home. Nice idea Jamie, but what's wrong with looking in your cookery book before you go to the supermarket?! English astronaut Major Tim Peake went for a space walk and took a selfie, although he had to rush back to the spaceship when his American colleague's helmet began to fill up with water. Where did the water come from then? Perhaps he wet himself. 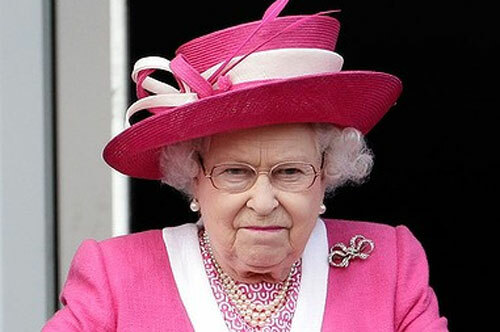 The queen is going to have a birthday party this year, as it's her 90th birthday, and it's going to be quite big. She's invited 10,000 people, but guests are being charged £150 each to attend, or so we have heard. Bit of a money maker then Ma'am ('mam' as in jam). You'll be on Dragon's Den next. Singer and YouTube star Troye Sivan got hit in the face when someone threw a bottle of water at him during his recent gig in Sydney, Australia. He said he didn't really feel it, because of his adrenaline rush caused by the cheering crowd. Prince Harry has been spotted partying with two of his ex-girlfriends, Astrid Harbored and Natalie Pinkham. They all seemed to be having a very good time at the birthday bash of friend Anneke Gilkes, in the popular Bunga Bunga club. Chefs have revealed that the best way to get rid of your Christmas tree is to eat it, kind of. They've suggested all kinds of recipes, such as spruce pickle made from Christmas tree needles, as well as spruce and ginger ice cream, and pine-smoked cauliflower. Weirdos. David and Victoria Beckham have been called 'neighbours from hell', because they have been causing so much chaos in their exclusive West London street. They are having huge renovation work done on their house, including a new room for hairdressing and manicures, presumably for Victoria and not David, or maybe both of them. 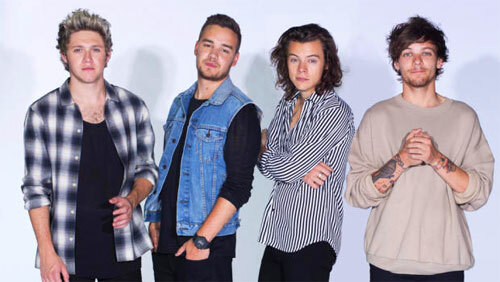 It turns out that One Direction really are splitting up for good. Sources have revealed that none of the boys (Harry Styles, Niall Horan, Liam Payne and Louis Tomlinson) have renewed their contracts after all. They are all considering solo projects and careers, even after promising fans that they were only going to take a year off and would definitely be staying together. And congratulations to Louis Tomlinson for becoming a dad and having a lovely baby boy. Good work Louis and we've enjoyed all of the baby memes. 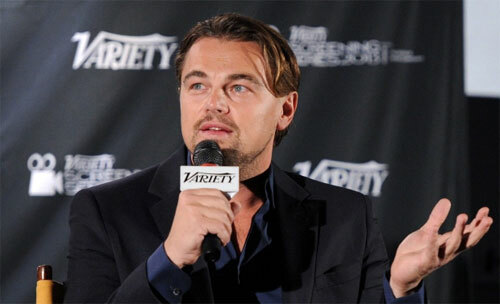 Famous Titanic actor Leonardo DiCaprio has talked about how he nearly drowned once when he was scuba diving with a friend, and his air tank malfunctioned. He told this story in a recent interview when he talked to the Rolling Stone magazine, explaining how he was saved by co-diver Edward Norton. 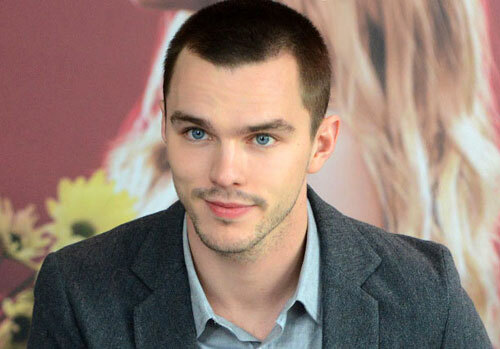 X-Men actor Nicholas Hoult has been spotted talking with his long-term ex-girlfriend, Hunger Games star Jennifer Lawrence. They were seen getting very close and personal at the Golden Globe awards, which were hosted by Ricky Gervais. J-Law's co-star Liam Hemsworth was also seen at the Golden Globes. He was spotted having a bit of passion with Miley Cyrus - they were kissing and holding hands. Miley split from her boyfriend Patrick Schwarzenegger (son of Arnold Schwarzenegger) in April and has been getting closer with Liam ever since. The revamp of the Top Gear show is continuing to all go wrong. First the executive producer Lisa Clark has decided to leave, and now Formula one racing driver David Coulthard has snubbed the show and says that he doesn't want the role as co-presenter. Davina McCall has put up a sign outside of her house, asking members of the public to stop weeing and pooing on the pathway. She says that she is fed up with people leaving the nearby train station without going to the toilet first, and then being caught short as they walk along the pathway by her house. She's even installed a CCTV camera now, to catch them at it.